Just picked this up at Soundcontrol. �10 knocked off the price due to it being ex demo, coming to a pretty good bargin of �39. So that's effectively the exact same as a Behringer. If your still stuck on an SM57, check out some of it's predecessors (Shure Unidyne series) on ebay, I got one for $12. It's a little darker character than the sm57. I can't speak for anything else you mentioned, but I also have 2 old Unidyne mics, and they are fantastic for acoustic & vocals. However, and you might disagree Sloan, despite my best placement efforts I can't get it to sound that great in front of a cab. They don't sound AWESOME or anything, but neither does an SM57, so it's a cheaper option. I'm pretty sure they use these mics or similar on fast food restaurant things (at the counter). 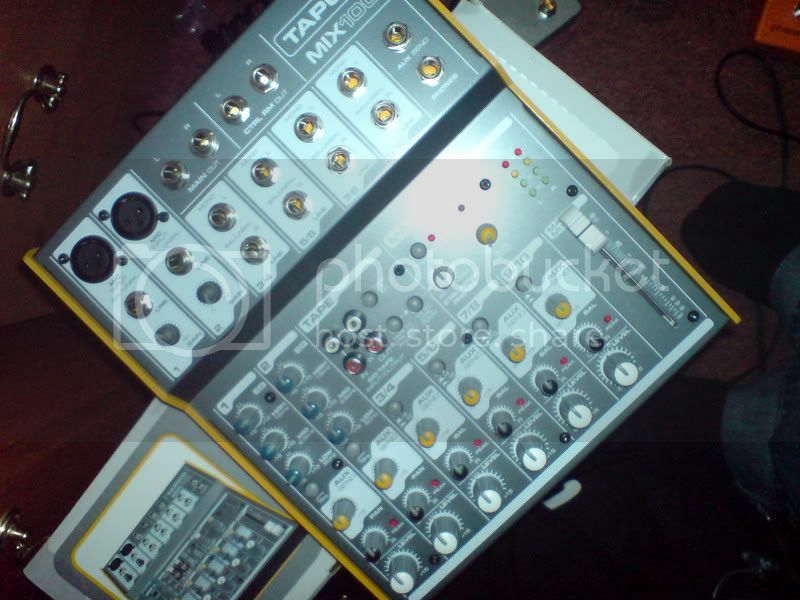 I've actually had so much bad luck with Behringer mixers. I've had to return one because it had an adaptor missing and the second crapped out within minutes. By that point, I wanted my money back, but the clerk gave me a Yamaha @ the Behringer price.